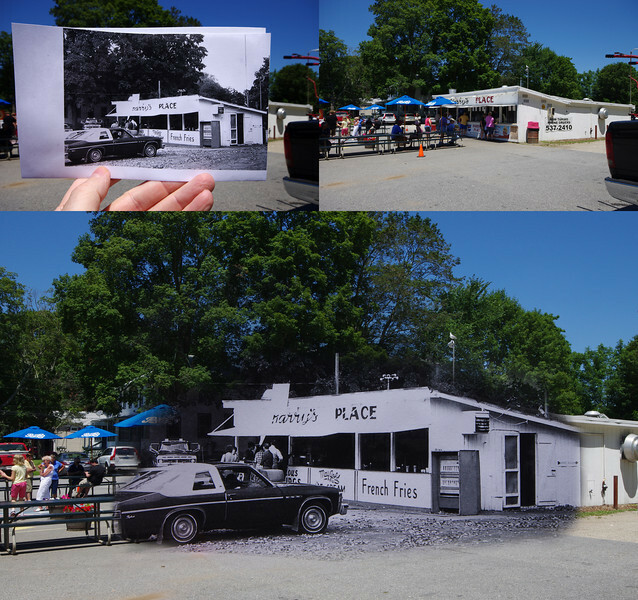 There's a style of photography where you photograph an old photo held in front of the camera, in the same location the original photo was taken. It allows you to see the surroundings of the present day, while looking into a window of the past. This gallery contains my attempts and it will hopefully grow as I find more photos to use for this project.